100% Cotton Striped Duvet Covers. Made in Italy from the finest Cotton. Luxury Duvet Covers. 100% cotton in a tone on tone sateen weave. Righetta offers a super soft hand, drape and feel. 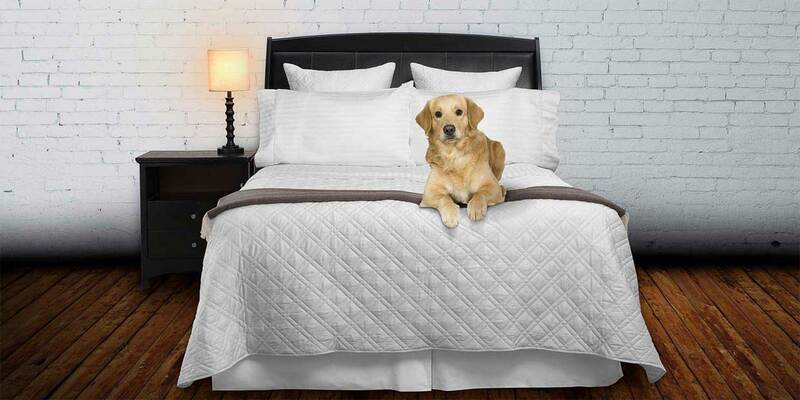 Duvet Covers are constructed with a single row of classic and elegant hem-stitching with a 4” decorative flange on 3 sides to offer a finished look and provide additional coverage of today’s extra thick mattresses. Woven from 100% Long Staple Cotton. Available in King and Queen sizes. For a Cal-king bed, use our King-size Duvet Cover, with a full-size bed use our Queen size Duvet Cover. 4” Decorative hem-stiched flange proves 8” of extra width and 4” extra length to cover today’s thicker mattresses. Available in White, Ivory, and Sable, which is a medium tan color. 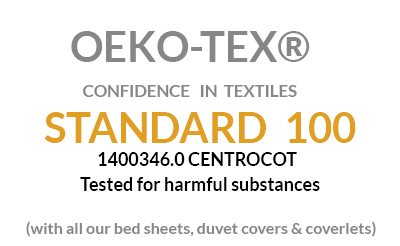 Woven in OEKO-TEX Standard 100 factory, an independent certification system that ensures textiles meet high safety and environmental standards. Coordinates beautifully with Olivia, Diamante, Serena, and Righetta sheets or pillowcases found here. Have Questions? Email us HERE or call at 786-512-3268. Watch our Video explain what to look for when selecting your next Duvet Cover. Queen - 90" x 92" King - 106" x 92"
FREE SHIPPING Free shipping on orders over $100 in the contiguous US. Costs for expedited shipping or to other locations are calculated at checkout. Italian-woven and finished (tone on tone stripe) from the finest 100% cotton sateen available. Generous 4” Hem-stitched flange on 3 sides of duvet cover, providing extra mattress coverage. Full/Queen: 88” x 92” + 4” Flange. (Fits Full and Queen size beds). King: 106” x 92” + 4” Flange. (Fits King and Cal. King size beds). A stylish duvet cover worth every penny!